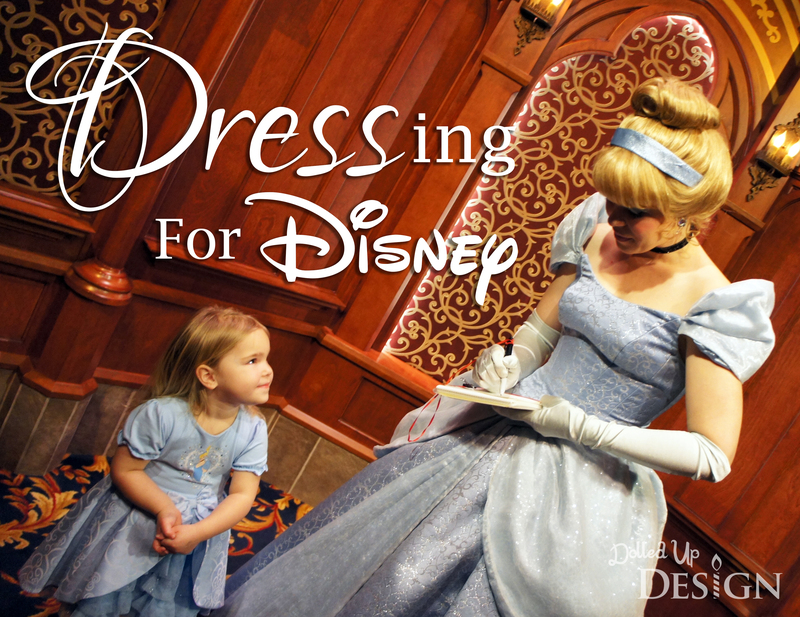 Today’s Disney parks friendly mommy daughter looks are inspired by The Little Mermaid. To princess dress or not to princess dress? That was the question I faced before heading to Disneyland. We have no shortage of princess dresses to select from, but they are all very delicate and not made of the most comfortable material for a full day of wear. They are also all pretty long and I worried about my daughter tripping or getting caught up on it when getting on rides. BUT I was also afraid after seeing all the other little girls in the park wearing their Princess dresses that she would be upset. In the past month, she definitely hit the terrible two stage full-on and has become very headstrong if there is something she sees and wants. Before the trip, I downloaded the Disneyland app to my phone and she repeatedly went to the Fantasy Faire section to pull-up the pictures of the princesses to point to the dresses and proclaim “I want dat!”. I know they do sell much better quality dress-up costumes in the parks, but there are still a lot of itchy materials and the length issue to consider. 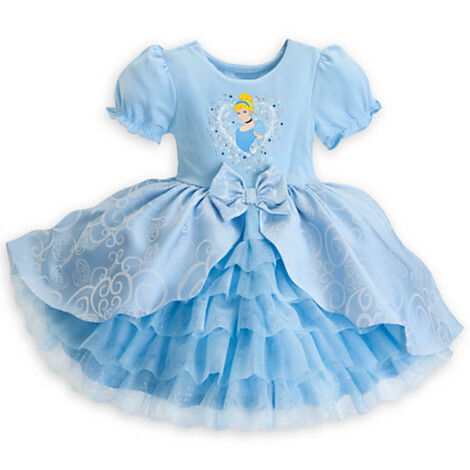 I ended up getting this lovely Cinderella Deluxe Dress from our local Disney Store and hoped it would be a good enough compromise for my dress obsessed little girl. The bodice is a nice cotton so she was comfortable throughout the day and the skirt portion was short enough that she was not tripping as she ran through the parks and stepped onto the rides. The extra layers at the skirt did make it a bit heavy, but I don’t think my little ‘Rella even noticed. She was with me when I bought it, but I tucked it away and surprised her with it for our second day in the Disneyland Park when I knew we would be visiting Fantasy Faire. 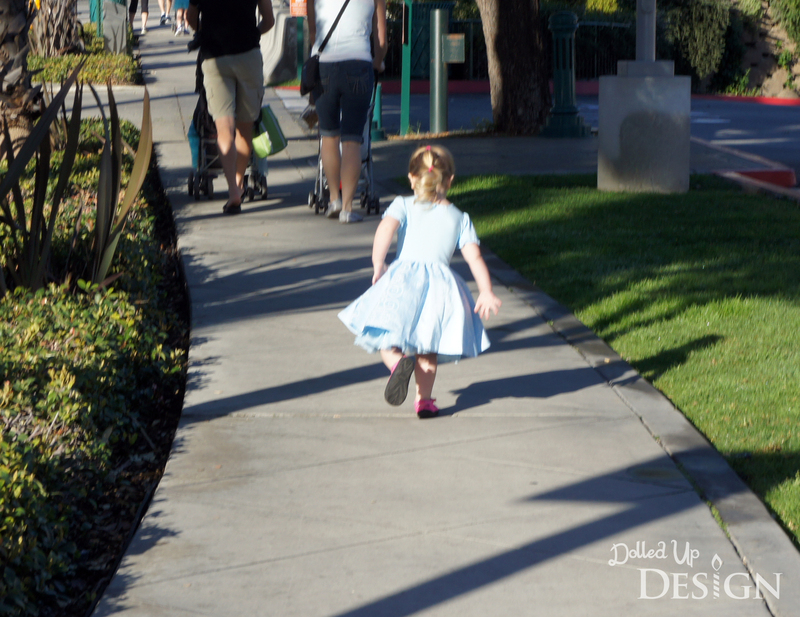 She was so excited and proud to get the dress and she ran/pranced/skipped the entire way from the hotel room to the park that morning. The dress worked perfectly and the adorable photos of my princess were well worth the cost of the dress. Her faced absolutely beamed every time she was called a princess that day or was told how pretty her dress was! It is better made then most of the dresses in our dress-up our collection so it should stand up to the daily use I know it will get now that we are back from the trip. 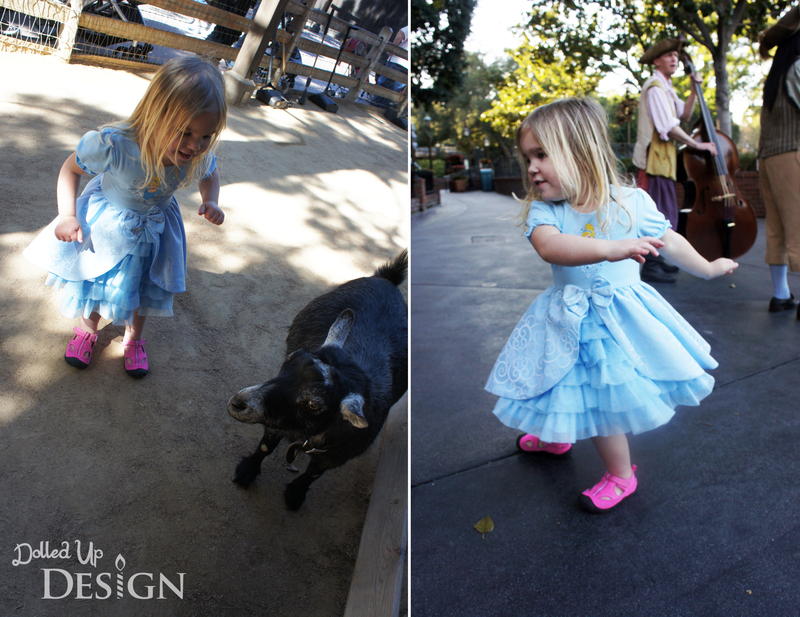 For the other days in Disneyland, she was happy to wear her Minnie dress, and her favorite Frozen outfit. The more frills and tulle for my girl, the better! I did have a frilly new Minnie outfit for our last day in the parks, but she insisted on wearing the Cinderella dress for a second day. I think she would have worn it the entire trip given the choice. 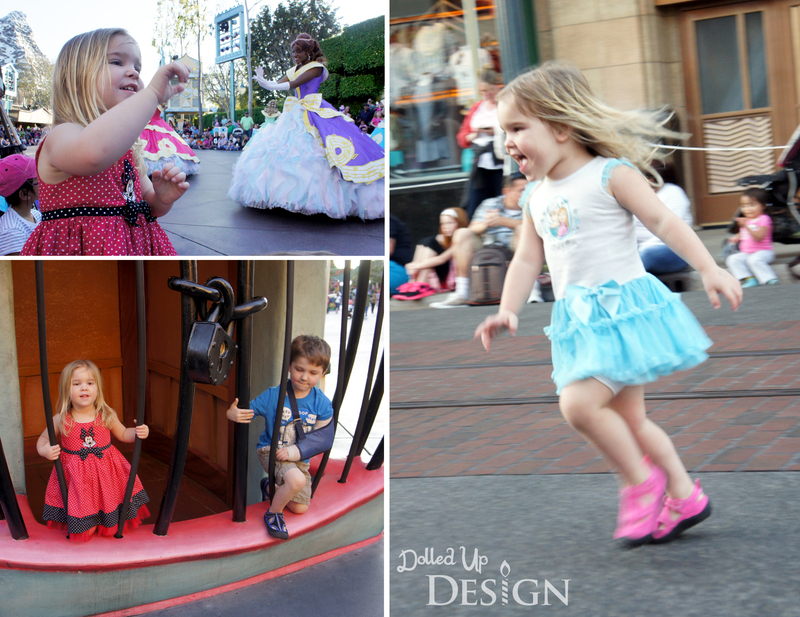 How do you deal with princess dresses in the Parks? I figure my little girl will only be little for a short time so I want to embrace this phase as much as I can. 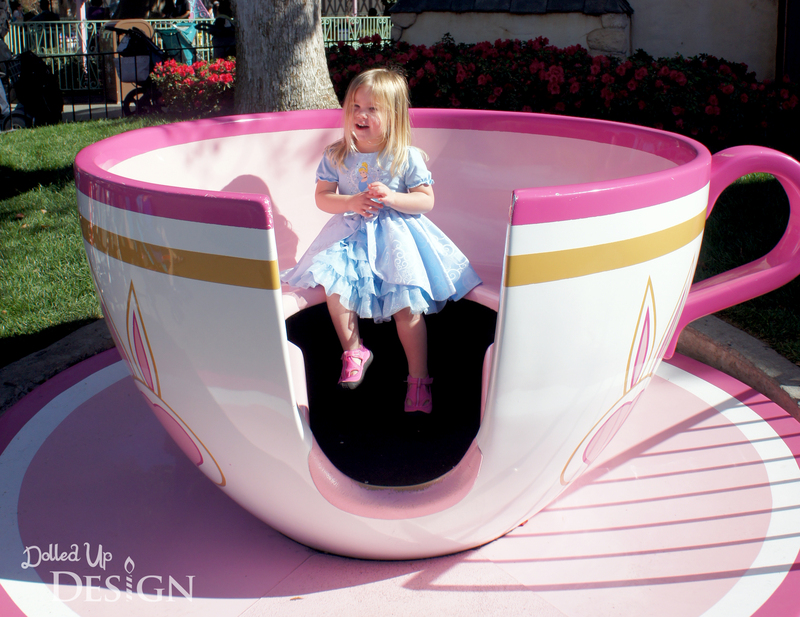 Seeing her excitement in the park just made me excited for the next time we go when she will be able to get the full princess experience with a Bibbidy Boppidy Boutique makeover! 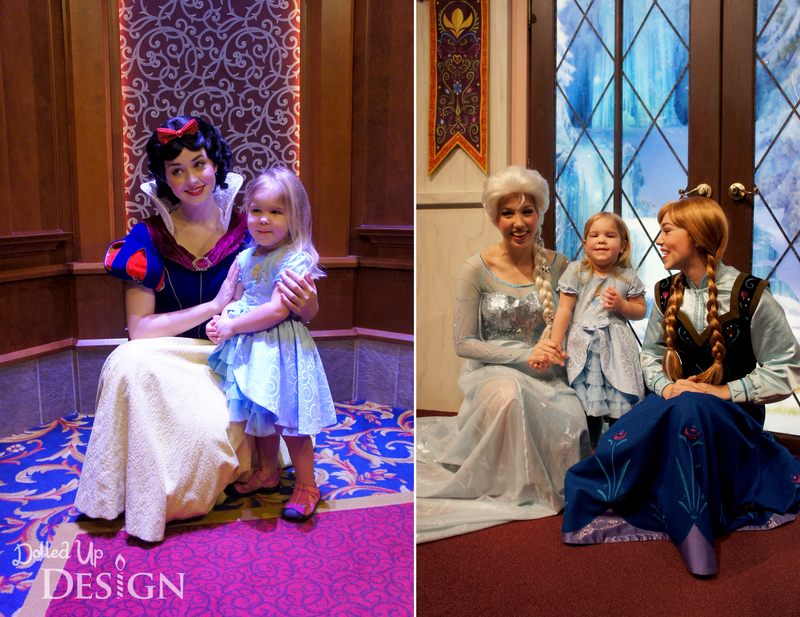 Disney Under 3 also shares a great idea to use Princess Dress-Up Aprons on your visit to the parks. I came across this too late to have time to order any this trip, but I will definitely keep this in mind for our next Disney adventure.